Busbar is an electrical system that is made up of a conductor strip of aluminum or copper. This power distribution system is placed in a wide range of equipment such as switchgears, distribution panels, and switchboards along with other items that operate on electricity. In recent years, the demand for low power busbars has been relatively high as they are being readily adopted in commercial and residential spaces. The end users of busbars are sectors such as metals and mining, chemicals and petroleum, utilities, commercial, residential, manufacturing and industrial. Of these, the utilities segment is projected to lead the global busbar market in the near future. The high demand for these electricity distribution systems in power generation plans, especially at distribution and transmission substations is expected to augment their demand. Busbars have the capacity to carry huge electric currents across short distances. The capacity of current to be carried is determined by the cross sectional size and material composition of the busbar. The global busbar market is likely to be driven by the shift toward busbars instead of cables as the former are cheaper. Thus, they are known to offer an affordable solution to rising energy consumption and wastage. The market is also receiving a boost from the wind and power sector, which is making an inroad into overall power generation mix. The demand for green technologies, energy efficient cities, and incentives for mitigating energy loss have collectively had a positive impact on the global busbar market. The global busbar market is poised to exhibit moderate growth over the coming years, according to recent industry research, and the growing usage of busbar in the power, industrial, and transportation sectors will be the main driving force. The demand for busbar will increase through 2025, fueled by increasing projects pertaining to power generation, transmission, and distribution. By power rating, the key segments in the busbar market include medium power, low power, and high power. The major end users of busbar are the residential sector, the industrial sector, and the utilities sector, among others. Based on geography, the global market for busbar can be segmented into North America, Latin America, Europe, Asia Pacific, and the Middle East and Africa. 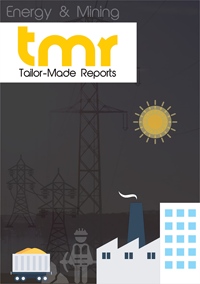 The report offers an in-depth assessment of the prominent factors influencing the growth of the busbar market and the hurdles and opportunities that lie ahead. Details pertaining to revenue, sales, market size and share, competitive dynamics, supply and value chain, and market attractiveness form a key part of this report. The growth of the transportation and energy sectors has proven to be a major driving factor for the global busbar market, especially in terms of demand. Busbars form an integral component in most vehicular operations and the rising demand for passenger as well as commercial vehicles translates to growing demand for busbar. On the down side, the lack of research and development activities, fluctuating raw material prices, and dearth of proper infrastructure threaten to hamper the growth of the busbar market. In addition to this, the rising emergence of a grey market that offers cheap and low-quality products has been holding the busbar market from reaching its full potential. Nevertheless, a rise in switchgear applications, expansions in transmission and distribution of energy, and favorable and innovative reforms in the power sector offer players in this market several opportunities to capitalize on. By way of power rating, it has been observed that low power busbar enjoys a prominent position in the overall market owing to its demand in power supplied to light fixtures in the industrial and commercial segments, which include subways, warehouses, and small-scale buildings. It also finds application in the residential sector since it can be installed in technical floors as well as in false ceilings. The utilities sector accounts for a significant share in the overall busbar market in terms of end use as busbar finds increased application in transformers, motor controls, switchgears, and distribution boards. From a geographical perspective, Asia Pacific holds an important spot in the global busbar market and is likely to hold on to its influential role in the coming years as well. A booming automotive and energy sector has ensured a steady demand for busbar over the years, which has aided in this region’s growth. With a rise in production facilities for commercial vehicles, Asia Pacific will present a demand for busbar with a medium as well as low power rating. Apart from this, rapid industrialization and urbanization, rising consumption of energy, and growing focus on attaining energy efficiency will benefit the Asia Pacific busbar market. The Middle East and Africa is also a lucrative busbar market and this region is poised to witness strong growth over the course of the forecast period. Similar to Asia Pacific, this growth can be attributed to increased energy consumption resulting from large-scale urbanization and industrialization and the need for energy efficiency. There are a number of players operating in the worldwide market for busbar and the degree of competition is rather intense. The strong presence of several multinational companies makes developed regions highly lucrative for large, global players; emerging economies, on the other hand, hold more scope for regional and local players. Some of the top players in the busbar market are Siemens AG, Mersen S.A., TE Connectivity Ltd., ABB Ltd., Legrand S.A., Eaton Corporation Plc., Chint Electrics Co. Ltd., Rittal GMBH & Co. KG, Schneider Electric SE, and Power Products LLC. The report identifies the dominant players in the busbar market and profiles them based on key parameters such as company and business overview, financial performance, growth strategies, and product portfolio.